Deposit matches are perhaps the most widespread form of casino bonuses, available in almost all online casinos of the world (I say "almost" because I have seen exceptions for the rule). These are great looking offers that promise players much more money to play with if they register to an online casino and make a real money deposit to their account. The best of them all are usually the bonuses applied by the casino to the players' first deposit - these are meant to be more attractive for the players. But there are some things you need to understand about these bonuses before jumping head first into them. Let's see some of these below. 1. Bonus Percentage & Bonus Limits: Some casinos market their first deposit bonuses as amounts, others prefer to show players the percentage of the bonus applied to their first deposits. Although sometimes it's not always emphasized, all bonuses come with a maximum limit the casino offers - unless "no maximum" is specified. 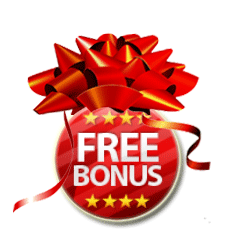 In this case the bonus represents a certain percentage of the deposit, no matter how high the amount would be. So, when you see a deposit bonus labeled "up to $2500", be sure to check the percentage. The bonus description will most likely say that it represents something like "250% on the first deposit", meaning that a deposit of $100 will get you $250 in bonuses, and for the maximum bonus amount you will have to make a deposit of $1000. 2. Wagering requirements: There is no such thing as "free money" - the casino offers its new players a bonus, but it expects something in return - namely for the player to play their games. The wagering requirements applied to bonuses represent the number of times the player is required to play through the bonus or the deposit plus bonus amount for it to become cashable (withdrawable as real money from the casino account). Game limitations: Bonuses can have various limitations on which games they allow to complete the wagering requirements on. Casinos usually prefer players to complete the requirement on "higher-risk" games like slot machines, keno or scratch cards. The casino terms usually specify which game contribute the most to the above-mentioned requirement - slots, keno and scratch cards contribute $1 for each $1 played, but games like blackjack, video poker and others usually contribute 50% or less (that's $0.50 for each $1 spent). Make sure to check the casino's bonus terms before choosing your game to play - and check out thebest resource for online slotswhile you're at it.